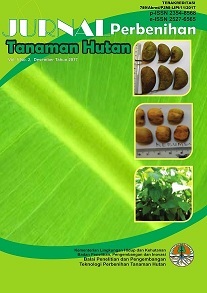 Jurnal Perbenihan Tanaman Hutan is the official scientific publications from Forest Tree Seed Technology Research & Development Center (FTSTRDC). The journal publishes research findings at different aspect of forest tree seeds, include: seed sources development and management, reproductive biology, seed ecology and biology, seed handling technology, vegetative propagation technology, seed health, nursery technology, seed and seedling quality testing, seed policy and social economy.Jurnal Perbenihan Tanaman Hutan publish twice a year in August and December. Jurnal Perbenihan Tanaman Hutan has been accredited by the Indonesian Institute of Sciences (accreditation number: 789/Akred/P2MI-LIPI/11/2017). The accreditation was on October 2017 which will be valid until October 2022. 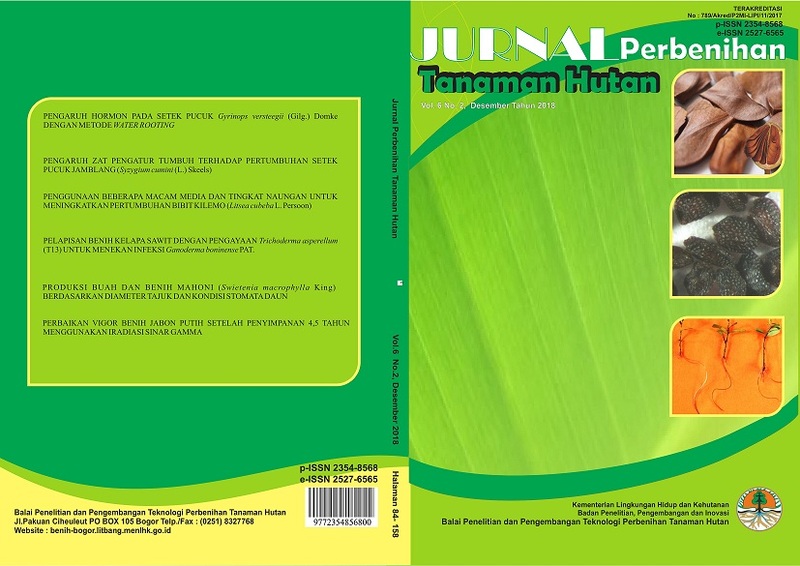 Jurnal Perbenihan Tanaman Hutan is an open access journal. This journal does not charge article processing charges (APCs) or submission charges. All manuscripts submitted to Jurnal Perbenihan Tanaman Hutan are assumed to be submitted under the Open Access publishing model. In this publishing model, papers are peer-reviewed in the normal way under editorial control. Published papers appear electronically and are freely available from our website. Authors may also use their published .pdf's for any non-commercial use on their personal or non-commercial institution's website. Users have the right to read, download, copy, distribute, print, search, or link to the full texts of Jurnal Perbenihan Tanaman Hutan articles. 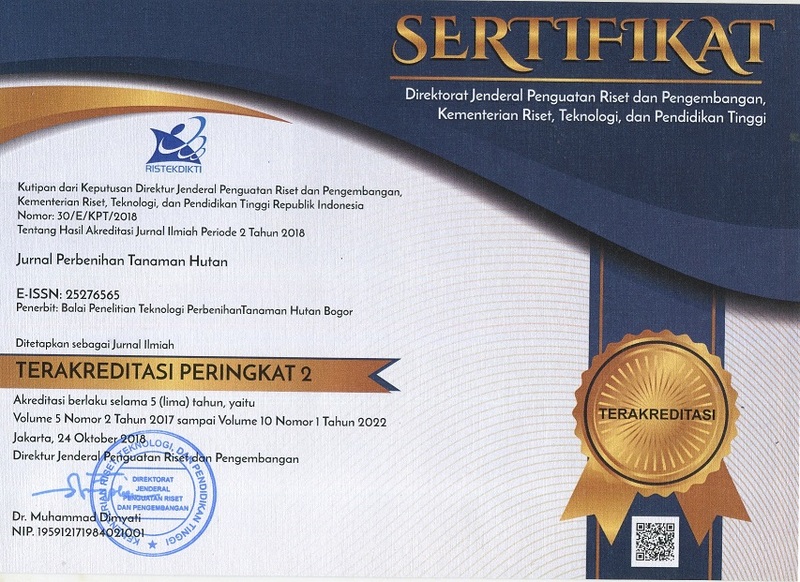 Journal Accreditation from "Ministry of Research, Technology and Higher Education"